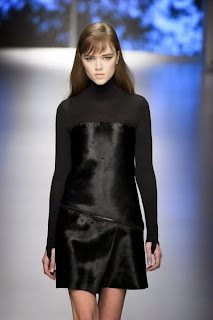 As well as the collection F/W 2013-14 by Salvatore Ferragamo offers dresses inspired to the architecture of Herzog and Tadao Ando, architectural elements, slender and stringent to give maximum emphasis to graphics and sensual accessories, even the women's flagship Boutique Salvatore Ferragamo Milan announces its reopening after a complete renovation, architectural. 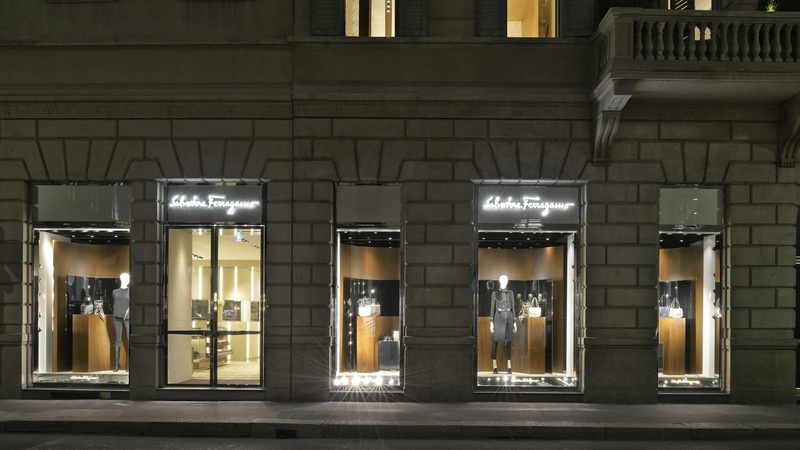 The store’s interior - spanning a total surface area of over 450 square meters - is elegant and luxurious, in line with Ferragamo’s signature style, creating a refined ambiance. The various product areas flow in a series of reflections and glimpses, highlighted by mirrored entrances and gold travertine inlays, reminiscent of a Baroque palace. 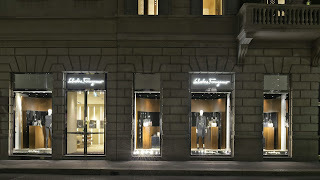 The boutique entrance, which affords guests a complete view of the Salvatore Ferragamo range, opens up to a space devoted to handbags. 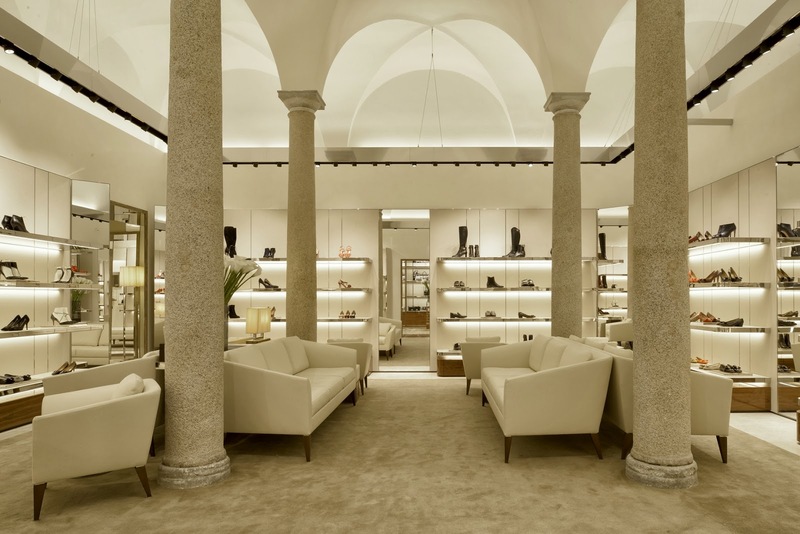 The shoe area follows under a sixteenth-century cross vault, with a special niche for Ferragamo’s Creations line. 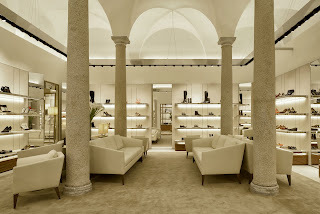 This leads to the jewelry and watch room, with gold mother-of-pearl walls, antique-effect mirrors and gold raffia, and then to the oval-shaped ready-to-wear space, dominated by the cupolas that emanate indirect light, illuminating the collection. the beauty of the historical palace in which it lies”.explained Michele Norsa, CEO of Salvatore Ferragamo. 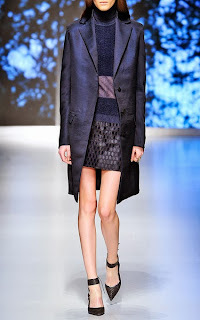 Ferragamo proposes for this autumn-winter boots with cuts that leave uncovered the instep, squared crocodile bags, sandals with PVC details, soft shopper with metal profiles, the alpaca pea coats are worn with the cavallino miniskirt at A in honeycomb, the mohair sweater of cashmere soul with fringed jais petticoat, a strict coat with the short dress crossed by a zipper and worn on the crew-neck. Three-dimensional embroidery and overlays are reminiscent of the net effect of Herzog, as well as the cuts are quotations from Ando. Removed the superfluous, remains the subject, from the hair of alpaca coat to the knee to Beaver fur and skin up to nylon thread of the fishing line chose to create a fake cavallino.